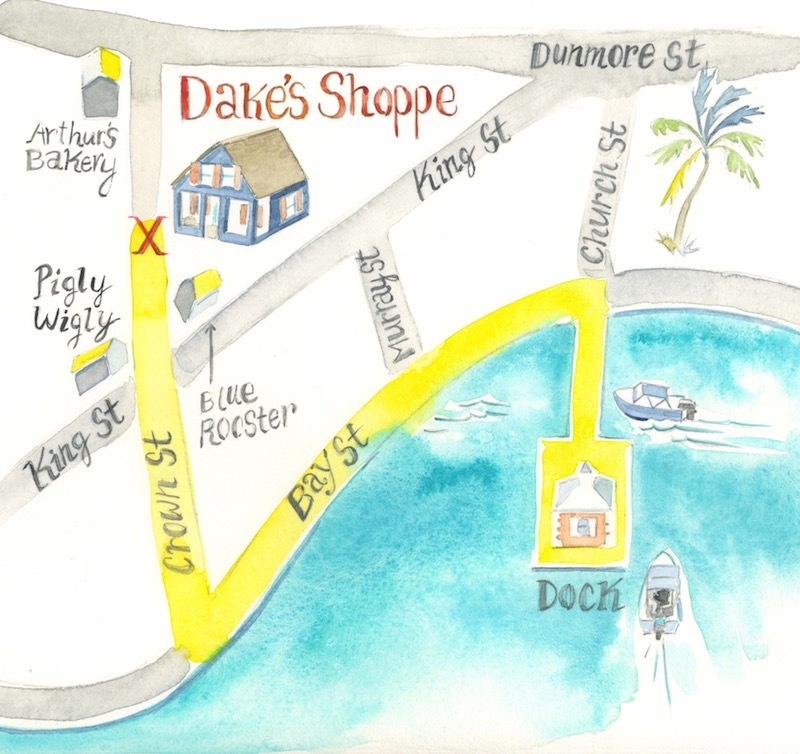 Dake’s Shoppe opened in November of 2015 on Harbour Island, Eleuthera, The Bahamas. Dake’s Shoppe is a very personally-curated department store operating in a restored historic home on Crowne Street in the heart of Dunmore Town. We are located between Piggly Wiggly and Arthur's Bakery in a white building with red trim. We do hope you enjoy browsing our offerings here online and we look forward to seeing you in the Shoppe when you are on Briland.